26 – Scored a career-high 26 points at Washington (8/29). 5 – Recorded five double-doubles on the season. 188 – Made a single-season career-high 188 field goals. 490 – Set a single-season career-high with 490 points on the season (14.8 per game). 225 – Collected a career-high 225 rebounds on the year (6.8 per game). 1,000 – Scored her 1,000th career point at Minnesota (6/17). 300 – Recorded her 300th career assist at Washington (8/29). 14 – Posted 14 straight games in double-figure scoring. 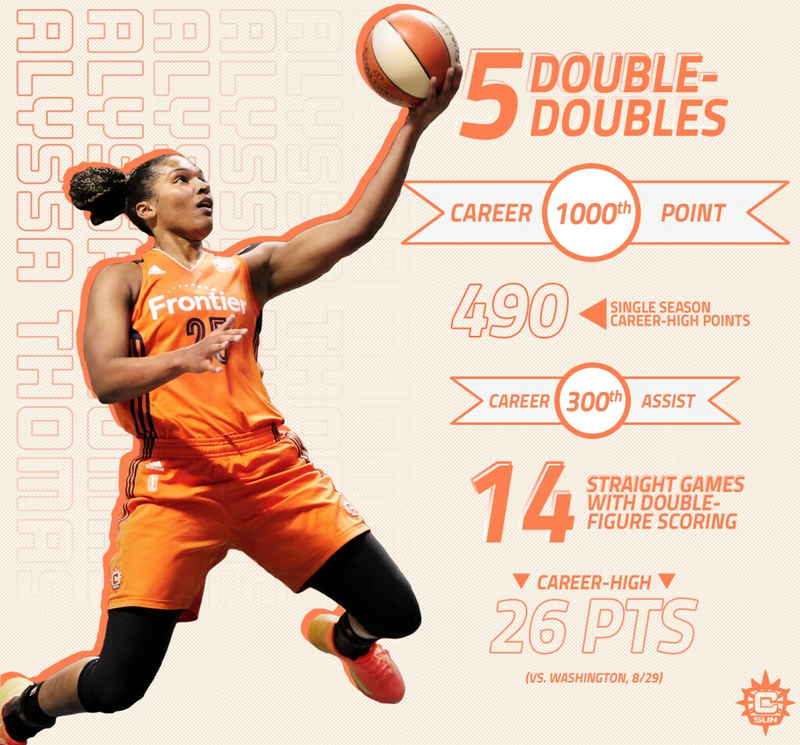 6 – Finished the regular season ranked sixth in the WNBA in assists (147, single-season career-high). 20 – Had 20 games with five or more assists.